Today everybody wants to use a high-speed internet on their smartphones, tablets and Pc’s. There are numerous methods by which you can quickly boost up your internet speed. In this post, i am going to share a technique to make your google chrome browser faster in your Pc. For this, we have a method that is How To Boost Up Internet Speed On Google Chrome. In this, I will be discussing some factors that will help you to increase internet speed in your google chrome browser. So proceed with the method below. Chrome is a clever browser and also most prevalent in the world of internet and there are lots of features that this browser provides which will help you in this job. 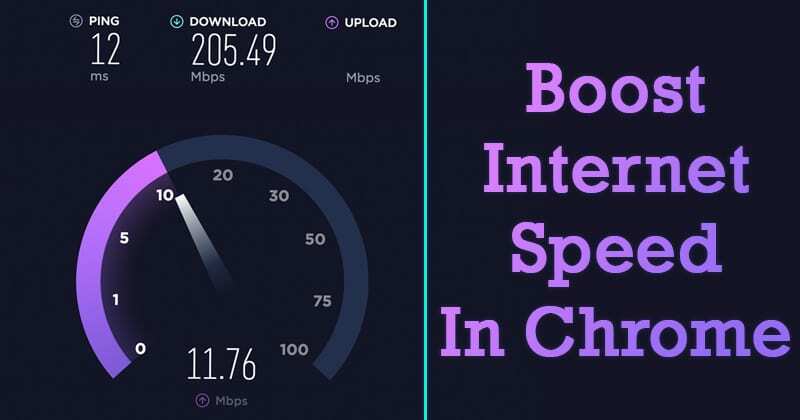 So have a look at the tips below to boost up your internet speed. This feature of google chrome let it save the cache for Domain Name Servers which can payload on your browser so you can disable this and stop your browser to save this cache. 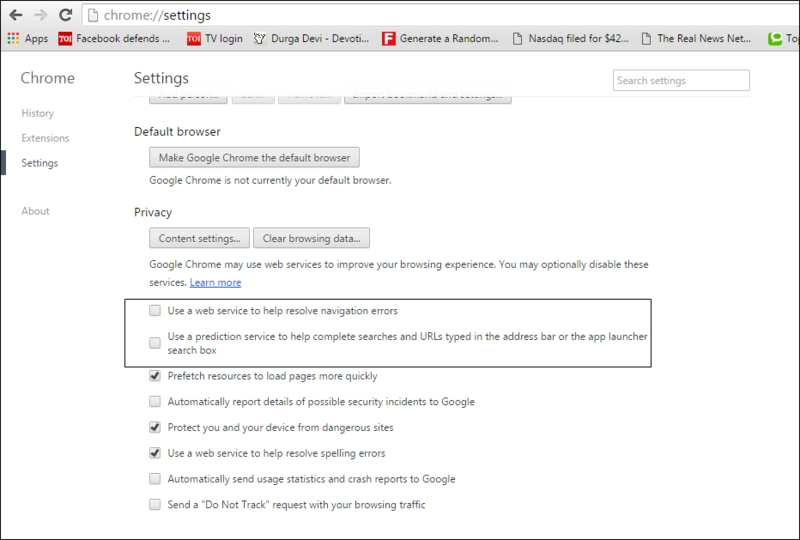 just follow the below step in your google chrome. Go to Settings -> Advanced Settings -> Privacy there you will have two options that are “Use a web service to help resolve navigational errors” and “use a prediction service to help complete searches and URL’s typed in address bar” disable them both. The saved cache and other saved data like browser history saved forms and login details etc put loads on your browser so better are to clear them all. 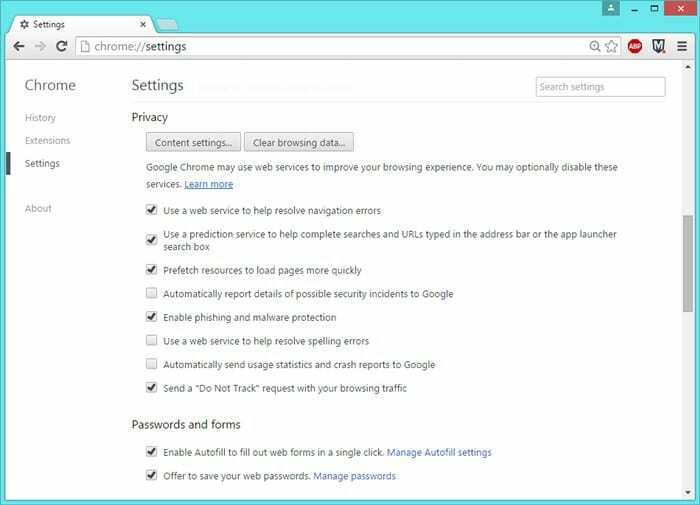 So to clear them in your chrome follow the below step. 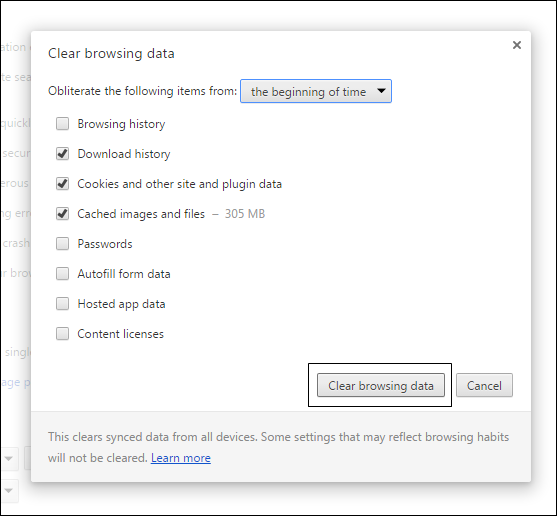 Go to Settings -> History section -> Clear Browsing Data. 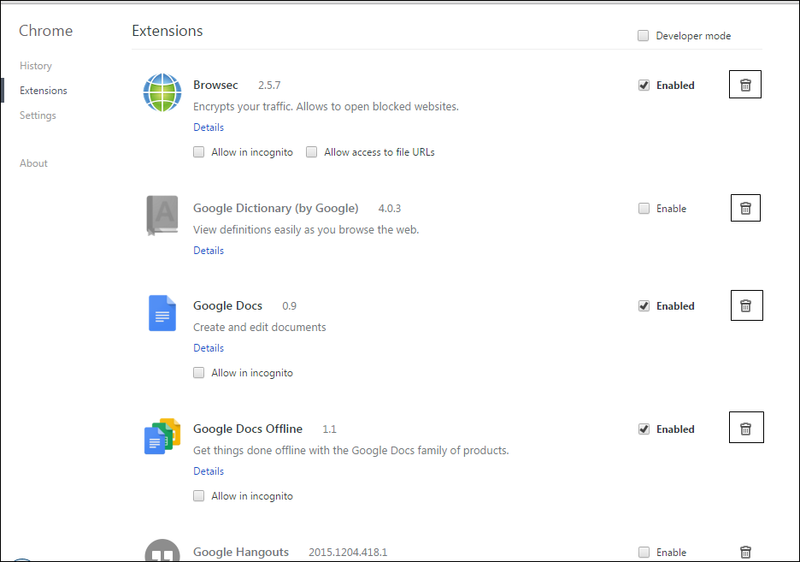 Go to Settings -> Extensions -> Disable button after every extension that you want to disable in your browser. Well, Plugins are just like an extension, but they are a little bit different. 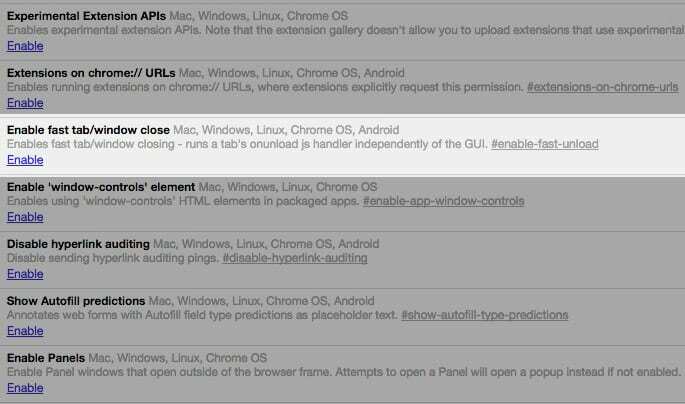 Just like extensions, plugins for Google Chrome browser also extends the browser functionalities. Similarly, there are many plugins that are pre-installed on the Chrome browser. These plugins are necessary to get the best browsing experience, however, they sometimes slow down the entire browser. So, the best thing that you can do is to disable the unnecessary plugins running on the Chrome browser. Just type in ‘chrome://plugins’ on the Chrome address bar and you will see the list of plugins. Simply, disable the plugins that you no longer need. 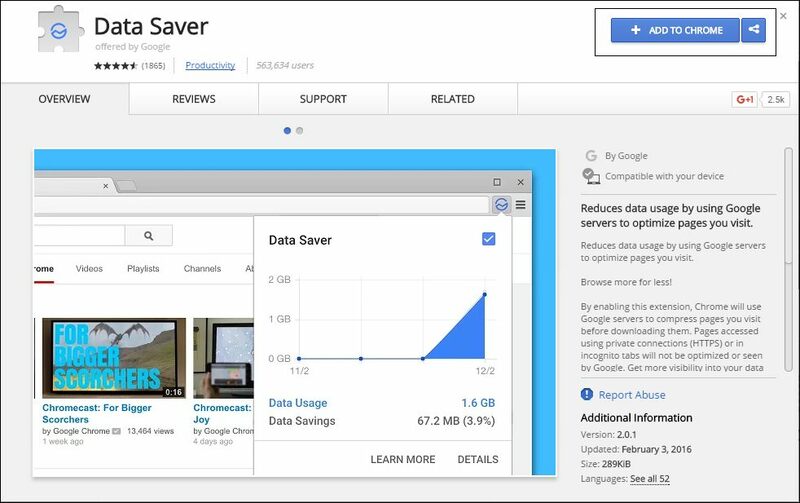 This is very useful google chrome extension that will help you to save lots of your internet data and also your internet browsing speed will also get the boost up to certain extent. 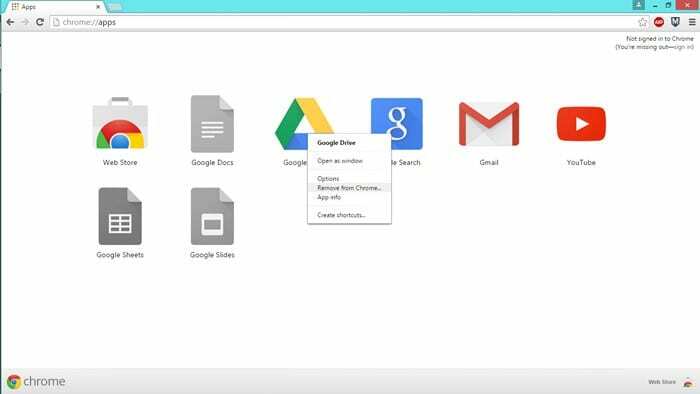 So add this Data Saver Extension in your google chrome today. Well, Google Chrome browser provides lots of features that are usually not found on other web browsers. One of those features comes in the form of web apps. These are the applications that are meant to run only on the browser itself. Usually, web apps don’t load resources like websites, but still, you can choose to disable them. Users just need to type in ‘chrome://apps’ in the address bar and it will show the list of web apps installed. Simply, select and remove the web apps that you no longer need. 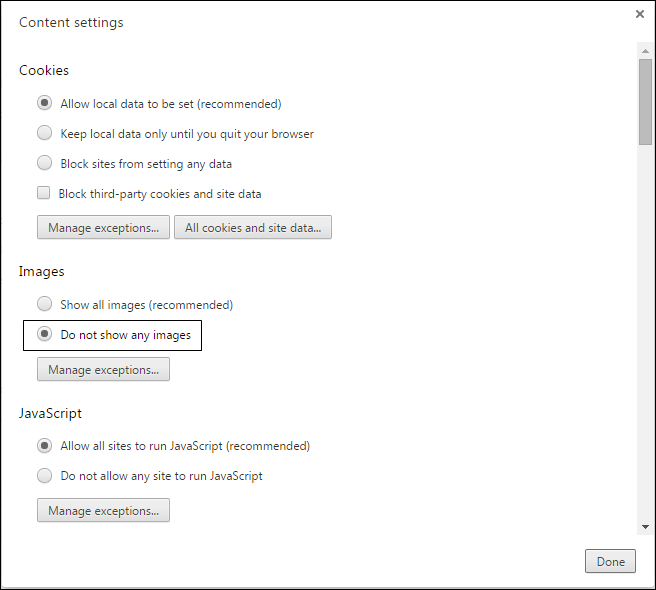 In your google chrome enter chrome://chrome/settings/content and under image section check the option Do no show images. Well, Google Chrome for Windows comes with an awesome feature which loads web pages in the background. The resource pre-fetcher or preloader actually provides intelligent suggestions about the webpages that we are most likely to open next. So, it loads those pages in the background even before we open them. Now you need to find the option ‘Prefetch resources to load pages more quickly‘ and enable it. We have tried different settings on Google Chrome Browser to find out which works the best to boost internet speed. 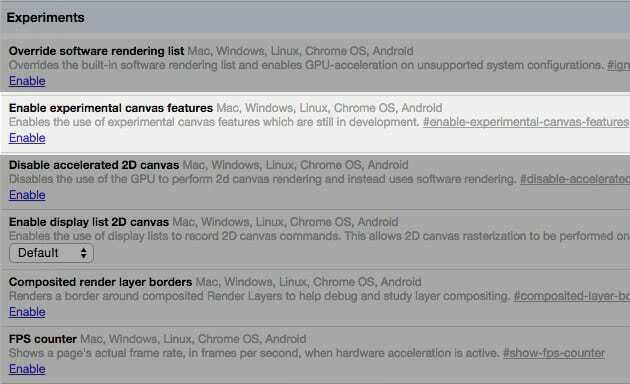 We have found that enabling the Experimental Canvas Features leads to better page loading speed. Now you need to click on Enable and then click on Relaunch Now button. Well, this feature doesn’t improve the internet speed. But, it helps to close or switch between tabs in a better way. This feature runs your opened tabs on Unload.js handler which speeds up the tab switching and closing process. Open your Google Chrome browser and then type ‘chrome://flags/#enable-fast-unload‘ on your address bar. Enable the option and then click on ‘Relaunch Now’ button. So the foregoing discussion is all about How To Boost Up Internet Speed On Google Chrome. By comprehending all the above tips you can make your google chrome browser faster and further this can preserve your internet usage data too. Hope you like the post, don’t forget to share it with others too. Leave a comment below if you have any related queries with this.